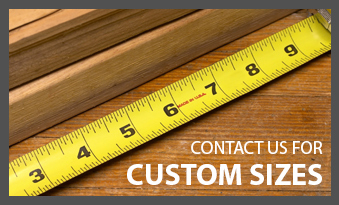 Fitting Furniture News, information, and general advice about furniture, designing, producing, purchasing and owning. 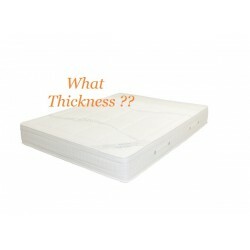 Following on from our previous post about standard mattresses sizes, another question we are frequently asked about our range of kids bunk beds is: "what is the maximum thickness mattress that they can take?" Our Spacesaver compact bed with Pink highlights! 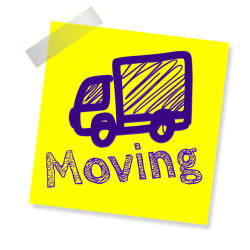 We're please to announce that the time has come for Fitting Furniture to move to a bigger Factory! 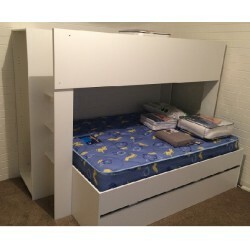 The idea was to create a bunk bed that can sleep adults as well as kids in a compact space and after consultation with the customer we came up with our new single over double bed. 3 new Reception desk styles added to the Fitting Furniture's range of office furnishings. 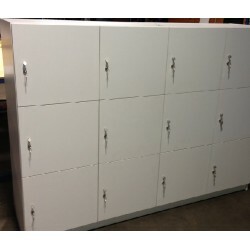 New Fitted Locker bank Products!